As we all know that Android smartphones running on Marshmallow are very hard to root. These smartphones also prove stubborn to be rooted by the latest version of Kingroot v4.9.5. Team Hovatek has been helping these smartphones users by providing steps to successfully root their stubborn smartphones. 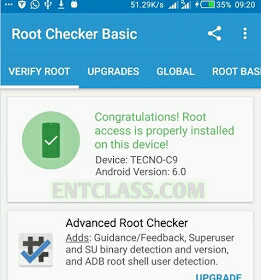 Tecno Camon C9 that was launched recently also proves stubborn to root. As usual Team Hovatek has provided steps to root this device. Kindly follow the steps carefully. Also patience in following this tutorial. 1. Copy the downloaded Super SU to both internal storage of your phone and SD card. If CWM offers to fix some errors, select No. HOW CAN I VERIFY MY ANDROID HAS BEEN ROOTED? Kindly comment below if it successfully roots your Camon C9.